This article is about an event that happened more than 2000 years ago. The principal behind it is still every bit a part of the human experience now as it was then. It’s about our goals, our aspirations, and our struggles and shortcomings. It’s about personal reflection, and finding your way through the world, even when the odds don’t seem likely. If you’ve ever felt like you just can’t get ahead, or if you like history, read this. First published June 29th, 2014. Edited, updated, and republished on December 29th, 2015. My closest friends are four of the most successful mid-twenty-something-year-olds that I know. Two of us bought our first properties at 23 years old. Four of us are full-time or part-time entrepreneurs who set our own work hours and work rates. We all come from humble backgrounds, mostly immigrant parents, and work in different industries. We’re young, hyper-ambitious, and we work fiendishly. I suspect it’s that attitude that separates the complacent from the rebels, the sheep from the sharks. We’re always planning on doing even better, always planning on being even more, so we keep working. The Roman reflected on his own life at 32 years old. The Roman had no empire. In fact, in comparison to Alexander, the Roman had nothing. He began to cry as he looked at the statue. He cried because despite his own personal achievements, when standing before the statue of Alexander, the Roman felt insignificant. He thought history would never remember him the way it would remember Alexander the Great. That Roman lives in all of us. We’ve all seen greatness and wanted to achieve it. We’ve all wanted to take ourselves up a notch. We’ve all compared our accomplishments to those of others. We’ve all fallen short in our comparisons, and fallen short in our goals. … but sometimes hard work pays and dreams come true. So who was the 32 year old Roman crying in front of Alexander’s statue 2,000 years ago? You may have heard of him. 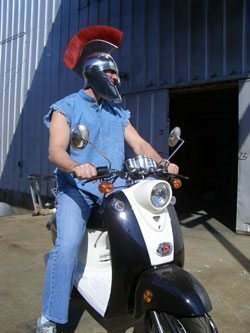 His name was Julius Caesar. Like Alexander he would go on to change world history. Like Alexander he would set in stone a legacy that would last until the end of time. What did Caesar do after crying in front of Alexander’s statue? He hopped on a ship, went back to Rome, got to work, and made his dreams come true. More importantly, Caesar, the crying Roman, not Alexander, was the greater man. 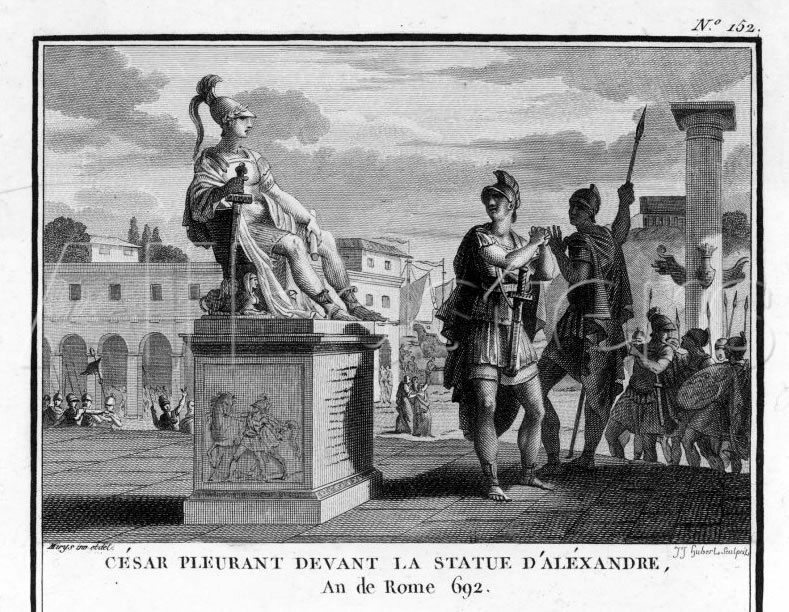 Why was Caesar greater than Alexander? Legacies, reformations, and political and military triumphs aside, we have two men of great achievement, but they did not start off equally. Alexander was able to accomplish so much at such a young age because he was the son of an Emperor. He inherited an empire. All Alexander had to do to be successful was grow his empire and maintain the status quo. Julius Caesar was not so fortunate. He had to take out huge debt, defy the odds on countless occasions, and literally risk everything to fight like a dog through war fields and political arenas to gain and expand his empire. There may be times where you and your friends drift apart, but never let them get too far. You might not be where you want to be, or where you saw yourself being, and that’s okay. Don’t be afraid to have larger-than-life expectations. Don’t be afraid to cry when you fall short. Don’t be afraid to work like a slave in order to triumph like an Emperor. Do all of this and you’ll be destined for greatness. You will earn your own empire. I have faith in you. Caesar could be compared to Alexander the Great’s father, Philip II who also had to build his economic wealth, reform an entire army, its techniques and strategies, suppress the constant barrage of invaders at his borders, defy the odds on countless occasions, and literally risk everything to fight like a dog through war fields and political arenas of other Macedonian elite and other Greek states to gain and expand his empire and become hegemon of all of Greece. Although I must say, Alexander from very young was right there with him. Both Great men in my opinion. Great blog too. Thanks Bonnie! 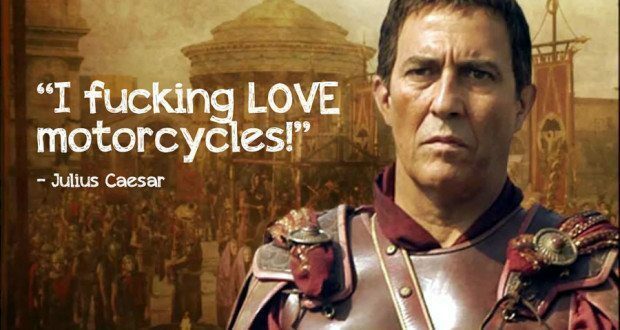 You should check out of the Life of Caesar and Life of Alexander podcasts by Ray and Cam, they’re great!